Caribbean Connector: Are you Librarian 2.0? In this new Web 2.0 environment one often hears the question: how do information professionals maintain relevancy in a world where the Internet, emerging technologies and rival information providers such as Google are perceived as satisfying the information needs of our clients, usurping primacy in a field which we have long dominated? √ Be committed to continuing education (formal and informal). A great place to start is by completing the Learning 2.0 Program http://plcmcl2-things.blogspot.com. All you need is 15 minutes a day. √ Become an advocate for the profession by marketing the value of Web 2.0, Library 2.0 and Librarian 2.0 to decision makers. 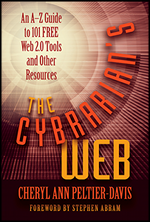 If you are interested in reading more about the links between Web 2.0, Library 2.0 and Librarian 2.0. read my recent article in Computers in Libraries Nov/Dec 2009 issue. 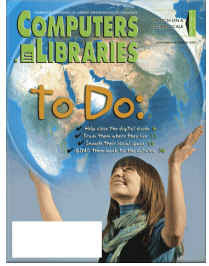 The article is titled Web 2.0, Library 2.0, Library User 2.0, Librarian 2.0: Innovative Services for Sustainable Libraries.